The Paso Robles region has been a winemaking area since the late 1800s, but there were not too many wineries there. A few such as Rotta and Pesenti seemed to specialize in Zinfandel, but these were not especially noteworthy. We recall visiting the area in the 1970s and wondered how they managed to find customers. Santa Barbara was a novelty in those days, too, despite having very little vineyard land in production. Gary Eberle, though, was exploring the region, finding Napa and Sonoma land to be out of the question. He was a football player in college at Penn State, taking the field for the famous coaching legend, Joe Paterno. Eberle was a biologist and after Penn State he went to Louisiana State University to study cellular genetics. An LSU professor shared Eberle's appreciation for wine, but on a whole different level. Gary was at the entry-level stage, drinking the popular wines of the day such as Mateus Ros� and Blue Nun Liebfraumilch. The more sophisticated professor introduced his to top Bordeaux and this ignited the passion for winemaking. Soon he was enrolled at UC Davis and studying enology with the late, great Professor Harold Olmo. And the Paso Robles/San Luis Obispo region was pretty much untapped, so Olmo had him monitoring the weather there as well as evaluating soils or, if you prefer, terroir. In 1973 the Estrella River Winery was just starting and Eberle became affiliated with that brand. One of the novelties at Estrella was they made wine from the rather obscure Syrah grape. The place grew quickly and was a bit out of control. 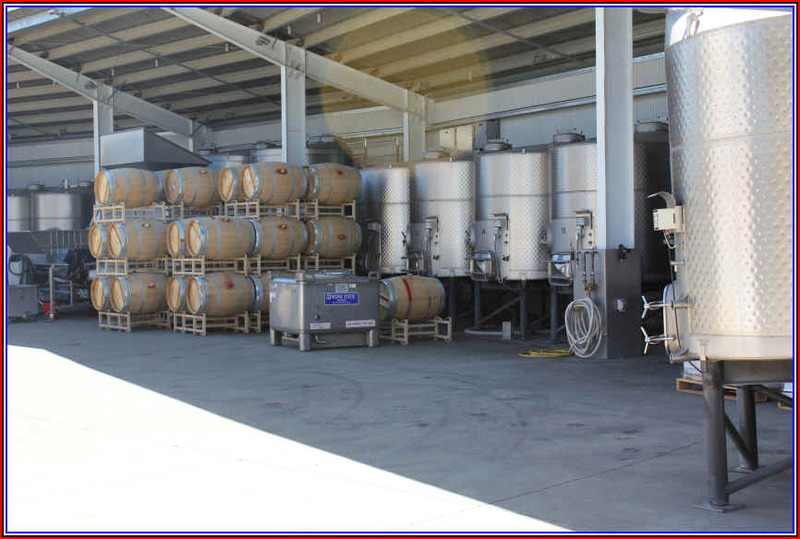 These days that facility is the Meridian winery, a large, rather industrial producer. Gary went on to start his own winery, though. His first vintage of Eberle wine was 1979 and there's significance to the logo: a boar (Eberle in German). While he's well-known for his Cabernet Sauvignon and Syrah wines, Eberle also makes an old-school Zinfandel. It's 100% Zinfandel and, yes, it's high octane at 15.1% alcohol. 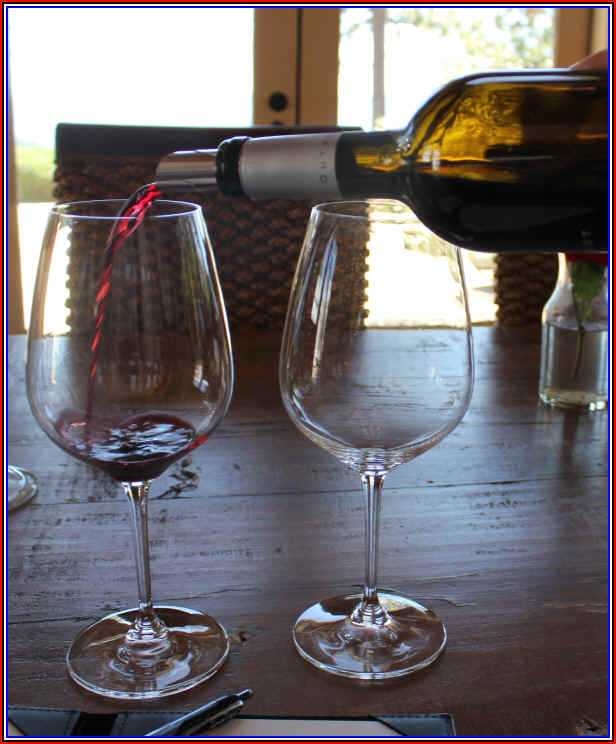 But the wine has higher acidity than you typically find in Paso Robles and the pH is right in the ideal place for the wine to shine with food and cellar well. The grapes come from three vineyard sites. It's vinified fairly conventionally and see but a small percentage of new oak. This may be too subtle for some wine drinkers, as it's not much of a fruit bomb and the oak is rather mild. But it pairs handsomely with ribs, burgers, meatloaf and Mediterranean fare. Winemaker John Williams has long been turning out elegant and refined bottlings of Napa Valley Zinfandel. And while we count him as one of the best Zin-makers in the state, we'll bet few experts and few consumers would mention Frog's Leap as a source of top Zinfandel. Yet he typically makes one of the state's most drinkable bottles of Zinfandel. One feature that sets his wine apart from most others is that it's usually less than 14% alcohol. This is rather unheard of. Most winemakers pick the uneven ripening Zinfandel grape when it's very high in sugar and so you'll often encounter fragrances that are a bit raisiny. While this is not uncommon, some of us view it as a flaw. Williams also has another trick up his sleeve, apart from grapes picked when ripe but not raisined. He co-ferments other grapes with Zinfandel and these routinely get harvested at a low sugar level. Petite Sirah, Carignane and Valdigue are co-fermented with Zinfandel in an effort to produce a wine weighing in below 14% alcohol. John matures the wine for about 14 months in oak. The 2015 shows a nicely woodsy note and you can easily tell it's American oak. The wine displays dark berry notes, a hint of spice and a faintly woodsy tone. It's medium-full bodied on the palate, but not the inky, ponderous sort of wine that seems to typify Zinfandel these days. Think of this as a Zinfandel with manners. The 2015 is oh-so-drinkable now and it will likely live through 2025 and still be a good, delicious bottle of wine. Who knows? It may live even longer, especially if you have a cool wine cellar. If you're looking for a fellow named Orin Swift at this winery, you're going to be out of luck. The owner and winemaker was Dave Phinney and you might think Orin Swift is his Witness Protection Program pseudonym. It is not. His dad's middle name was Orin and his mom's maiden name was Swift...so, Orin Swift. Dave spent some time in Italy and, of course, fell in love with wine. When he returned to the U.S., he was in Arizona and worked in a wine shop trying to sell wine to beer drinkers. The University of Arizona had planted an entire acre of an experimental vineyard and I gather Phinney got some dirt under his fingernails before heading to the University of Robert Mondavi in Napa for an internship. Mondavi, Opus and Whitehall name are tattoos he sports, but the best one was his own "Orin Swift Cellars" logo. The most famous wine from Orin Swift is a Zinfandel-based blend that's become quite popular and for good reason. The wine features the painting of Francisco Goya called "Le Petit Prisonier" and it's called The Prisoner. The Prisoner label was sold (or Phinney took on a partner). The new owner is Augustin Huneeus who owns the Quintessa brand from Napa and a Chilean portfolio called Veramonte as well as having invested in the Flowers winery in the Sonoma Coast appellation. But then in 2016 Huneeus had the huge drinks company called Constellation sniffing around and they paid him $285 to bail out The Prisoner and a few other labels that were amongst the "inmates." Huneeus is reported to have paid less than $50 million and then, a few years later, he sells this to Constellation for close to $300. This is the epitome of what wine critic Robert Parker referred to as having "gobs of fruit." Yes, it's definitely a fruit bomb. 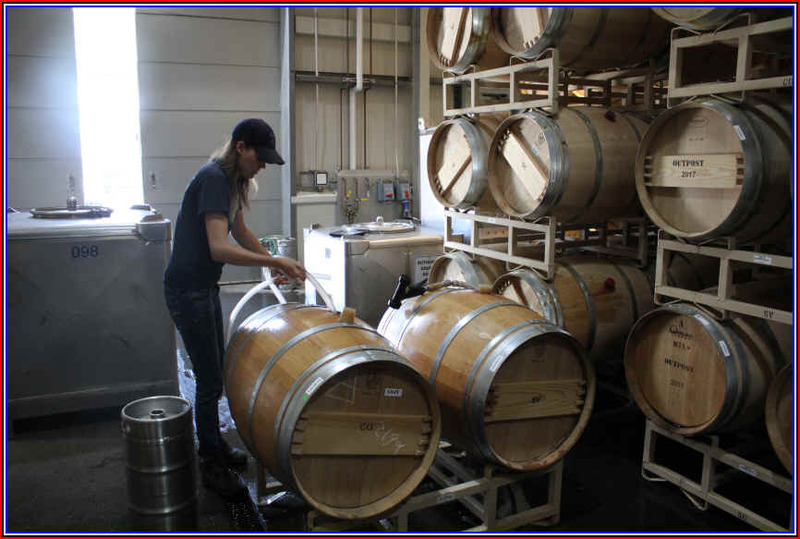 Under Phinney's jurisdiction, consumers knew the wine was made from Napa fruit and he would publish each vintage's "recipe," telling us what grapes were incarcerated in each vintage. Now that the brand has grown, all Constellation will say is that the wine is allegedly made of a similar blend without revealing the percentages. This would be Zinfandel, Cabernet Sauvignon, Syrah, Petite Sirah and Charbono. Remember that Constellation is the company that makes and sells "Mega Purple," a grape concentrate that adds color and more to a wine. Read our friend Dan Berger's article on this product...no winemaker ever admits to using this, though. We're not saying there's Mega Purple in this wine, but it wouldn't be a surprise. This brand is an offshoot from the Duckhorn winery. The Duckhorn brand was dedicated to making Bordeaux-styled wines. In 1994 they launched a wine called Paraduxx, a blend based on Zinfandel with Bordeaux varieties. It began as a rather showy red wine and something a bit different, but good quality. Over the years, the blend has changed and these days it's more of a Cabernet-based red with a bit of Zinfandel. How do you like the new label? They now have a winery dedicated to producing Paraduxx and it's complete with a fancy tasting facility. It's so fancy, they pour the wines in stemless cups in some sort of attempt at being Uber-Cool. The recent releases have been rather standard quality wines and , in our view, not worthy of their elevated price tags. The entry level wine retails at the cellar door for $48 and for us we expect a really good wine at that price. Actually, we expect a really good wine when a bottle costs $20. But we don't find $40 worth of wine here, so we've not been stocking this. There are also some higher priced bottlings and these don't strike us as being significantly superior to the entry level wine, which seems a bit superficial to us. We hope Duckhorn will take a good look at the wines they're offering and work towards making Paraduxx a premium bottle. In the Sonoma Valley you'll find a vineyard site which was originally planted in the 1850s by William McPherson Hill in what is now the town of Glen Ellen. 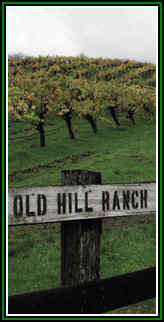 Old man Hill is long gone, but the Old Hill Ranch continues to thrive, run by the Bucklin clan, whose parents bought the place in 1981. The Bucklins will tell you their parents found the vineyard to be overgrown and unkempt. Some farm advisor took a look at the place and suggested ripping out the vines and starting over...but fortunately they didn't cotton to that notion and so they asked the opinion of some local winemakers. Joel Peterson, who's a big fan of old, historic vineyards, suggested they sell the grapes to his winery, Ravenswood. And soon after, "Old Hill Ranch" became a famed bottling in the Ravenswood stable of big, powerful Zinfandels. The vineyard, though, is not entirely Zinfandel. There are several dozen varieties planted in this one vineyard. They know it's predominantly Zinfandel and they spent two years examining each vine in order to ascertain what's there exactly. Colombard, Trousseau, Tannat, Grand Noir, Lenoir and Chasselas have been identified, along with more normal varieties such as Grenache, Syrah and Mourvedre. The Bucklins decided to take the winemaking plunge at the turn of the century and winemaker Will Bucklin was lured back to the old homestead from his gig as a winemaker for a Willamette Valley winery. We've tasted Bucklin wines over the years and are delighted to have found the 2014 Ancient Vines bottling to have hit the mark. It's dark purple in color and has all sorts of interesting fruit notes. We find ripe plum, blackberry and some spice, along with a mildly vanilla bean fragrance. It's full-bodied and dense on the palate. This is one of those wines which needs a big wine glass and a lot of swirling--you'll find different nuances emerging over the course of a meal which adds to the enjoyment of a grand bottle such as this! The production is limited, of course, as these old vines don't yield a large crop. Some vintages produce 400 cases. In 2013, there were precisely 564 cases made. It's a high octane wine, but it manages to straddle the boundary of balance thanks to intense fruit and spice. You can call him "Doctor" Rosenblum if you like since Kent is also a veterinarian. I don't think he prescribes Zinfandel for his patients, but probably for their owners. Kent Rosenblum was deported from Minnesota around 1970. He has managed to lose most of the accent, having lived in the Bay Area for so long. After embracing the California lifestyle, he decided he wanted to explore making wine, not only drinking it. So he and a neighbor started producing some homemade wines. Encouraged by the results, he decided to see about making wine professionally. Rosenblum was able to convince a banker to lend him enough cash to start a winery. The poor banker didn't know what a monster he was unleashing! That was in 1977. Now things have gotten seriously out of hand. 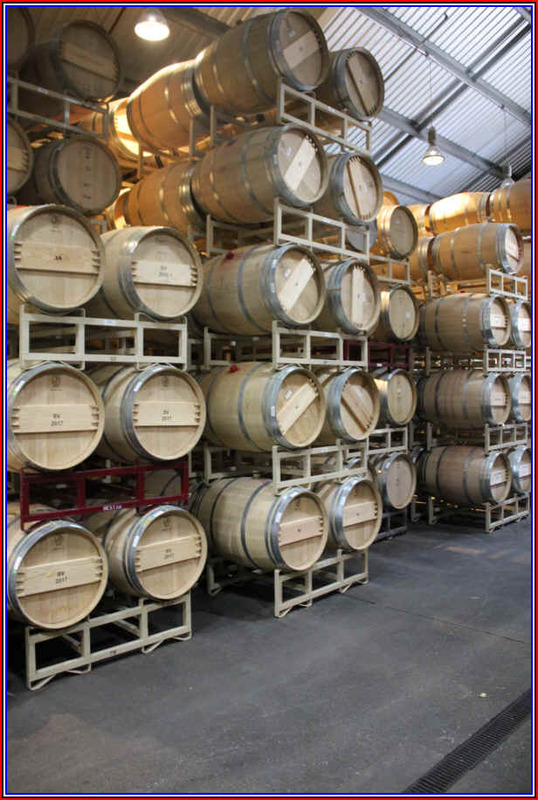 Rosenblum cellars produces about 90,000+ cases of wine annually. And Dr. Kent sold the winery to Diageo, a bazillion dollar drinks company...so there goes the Rosenblum name, as that's been sold. They make something like 18 Zinfandels, not to mention really curious things like Vanilla and Chocolate-flavored "Port" wines. Some of the Zinfandels approach the style of Port, so perhaps it's not much of a stretch to produce something that is "port-styled." In the relative early days, Rosenblum made some nice wines...and later on with Jeff Cohn as their winemaker, they routinely produced charming, fruity, berryish Zinfandels. And then...then they got sidetracked. Of late, they seem to be catering to the cocktail crowd. 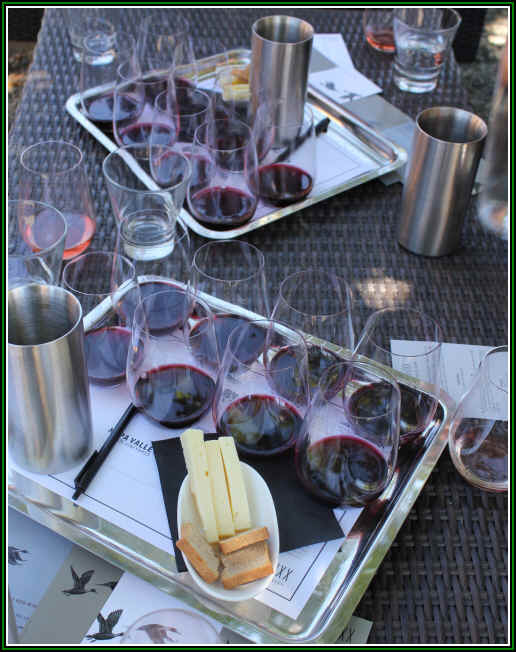 Many of the wines show deep, saturated colors, extremely ripe fruit, very high levels of alcohol and, often, residual sugar. For many wine drinkers, the range of Rosenblum wines is "over the top" as they're "pushing the envelope" and then some. The labels don't inform consumers that the Zinfandel inside the bottle may contain a substantial amount of residual sugar. From a marketing standpoint, having relatively small lots of wines makes selling some of them an easier task. You can more comfortably scale a series of small hills, perhaps, than a high mountain. The character of the particular region, though, seems to be muted or masked by the current style of winemaking here. Virtually everything tastes more of "Rosenblum" winemaking than it does of "terroir." They make all sorts of single vineyard Zinfandels and this would be great if they would pick the fruit when the grapes are ripe instead of picking them over-ripe. The notion of capturing "terroir" or the somewhere-ness of a site by making wine from raisined grapes is simply folly and it's a pity. But that's what can happen when the marketing people and the accounting crew have more "say" in the winemaking than well-trained enologists or certified adults. Rosenblum wines are typically high in alcohol. That may explain why one label, years ago, told about the vineyards in Contra Costa, "40 miles west of San Francisco." I called legendary San Francisco Chronicle columnist Herb Caen who loved making fun of people for this sort of thing. Kent got some publicity for his wine, as a result. I hope he doesn't hold a grudge! Well, these wines are no longer for us...the wines are made for the marketing department of a big drinks company and they've totally lost their way with making distinctive, good quality Zinfandels. Rosenblum, by the way, bankrolled his daughter in her wine-making venture called Rockwall Cellars. But most of those wines seem to be over-the-top fruit bombs, too. The Rombauer wines have what seems to be a loyal following. Zinfandel has often had a bit of sweetness and now they're really catering to those consumers who prefer noticeable amounts of sugar in their "dry" wines. Chardonnay, too, has plenty of sweetness and has never been more popular. 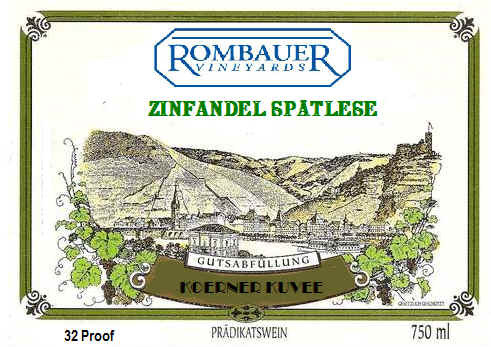 The Rombauer wines are a textbook example of "consumers talk 'dry' but drink 'sweet.'" The wine displays sweet berry fragrances with notes of chocolate, so it's relatively consistent with recent previous vintages. The wine is sort of like a dryish Port/slightly sweet Beaujolais...too sweet for the dinner table but not really sweet enough for dessert. Think of this as California's leading Sp�tlese Zinfandel! It's a kind of 'cocktail' wine for some consumers, being full-bodied and rich on the palate. In a blind-tasting, I also detected a note which reminded me a bit of pineapple. Curious. Anyway, it's a Zinfandel which really excites some consumers. Your mileage, as they say, may vary. 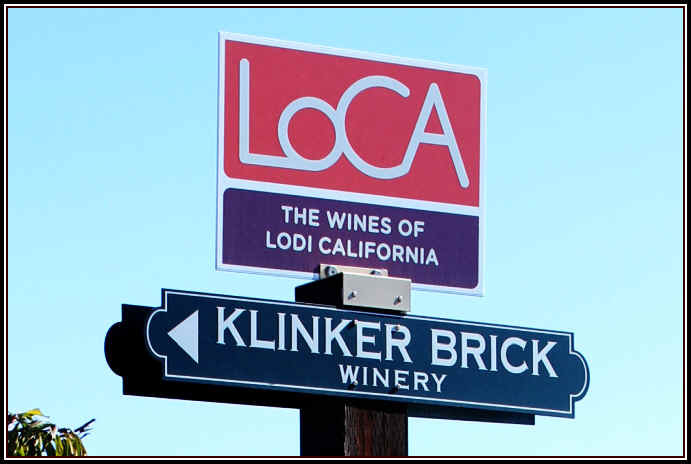 The fifth generation of the Felten family launched the Klinker Brick winery brand in the early 2000s and today the 6th generation is on board, helping run the family business. The Feltens came to Lodi, California in the early 1900s and were watermelon farmers. But they saw the neighbors planting grapevines and so they began cultivating Zinfandel back in the days well before Prohibition. They also planted Carignane (high yielding red grape), Tokay (for sweet wines) and Alicante Bouschet (for color). The fruit was shipped to the East Coast and Canada for home winemakers, though the Feltens made a bit of wine for their own consumption. After Prohibition they still sent a bit of fruit to the East, but most was purchased by California wineries. They realized they were not producing the best quality fruit into the early 1980s as vineyard sites were typically flooded as a means of irrigation or growers used "ditch irrigation" as a means of keeping the vines viable. But these methods contributed to larger yields than one would find in premium wine areas and the wines were a bit empty. The advent of drip irrigation allowed a grower such as the Feltens to rein in the yields and have a chance of producing better quality grapes. Of course, the area is quite warm and the swing between hot daytime temperatures and cool night temps is important in retaining acidity in the fruit. 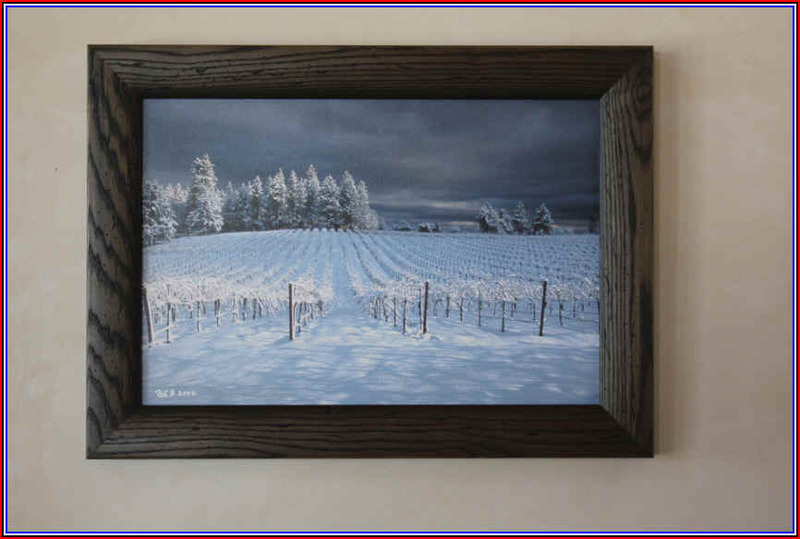 Some temperature charts we found on the internet claim Lodi may be a couple of degrees, on average, as warm as Napa and Sonoma throughout the growing season and perhaps close to those regions for cool, night time temps. Lodi, though, doesn't have much in the way of mountainous vineyard sites and the soils tend to be more sandy than anything else. For years Lodi was a place to go for lower-priced wines. Ages ago, we recall there was one "artisan" estate in Lodi, though it was actually a large winery. This was a winery called Barengo and winemaker Dino Barengo mostly sold wine in bulk. He bottled a small percentage as his Zinfandel was of good quality and well-priced compared to the expensive five dollar Zins from Napa and Sonoma. These days we're often shocked that Lodi Zinfandel has $30-$50 price tags. Few wines, in our view, justify such pricing. But the Felten family wines under their Klinker Brick label are of good quality and, for us, lead the way in this region. How did they choose the name Klinker Brick? 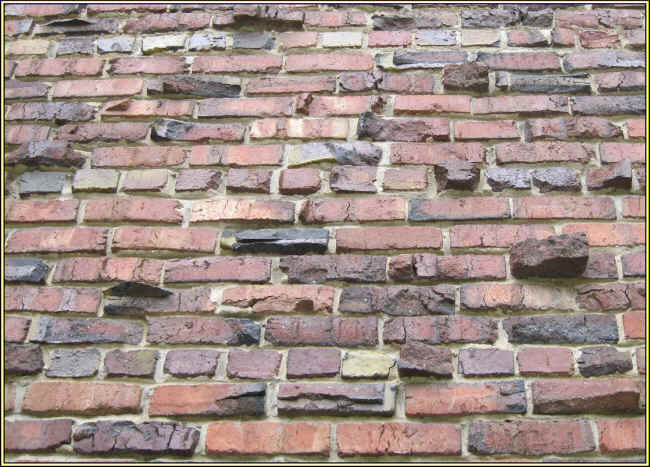 Well, you'll see buildings in the area and some of them have these special, somewhat odd-shaped bricks which are a bit misshapen and denser than a typical brick. These "clinkers" will even make an odd sound when clapped together. We currently have the 2015 vintage of Klinker Brick Zinfandel. It's one of the more charming and somewhat "adult" versions of Lodi Zinfandel. The wine is dark in color and has lots of red fruit fragrances, along with a sweet, woodsy note and some brown spice tones. It's close to dry on the palate, fairly soft in terms of acidity and medium-bodied. We suggest serving this lightly chilled, as that seems to tone down the alcohol in the wine (which is high). 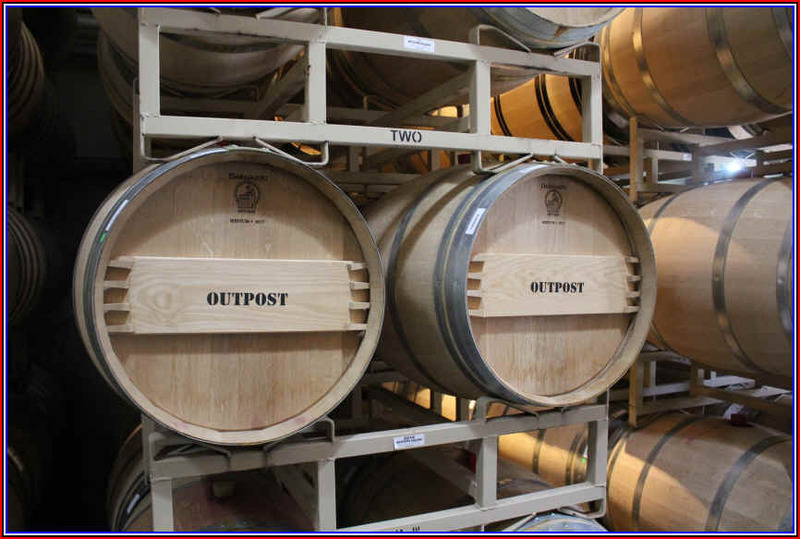 The Outpost winery was founded in the late 1990s by a couple named Pringle. They had purchased a lovely, high-elevation vineyard site in Napa's Howell Mountain appellation and made some outstanding Zinfandel. They chose the name of the place when a waiter in a Napa dining hot spot wished them well on their journey back home, which he referred to as their "outpost." The name stuck. We found the early wines to be exceptionally good and it had a marvelously spicy note to it, partly due to the grape and partly, we think, the terroir. Pringle had a Bay Area distribution company which seemed to delight in telling potential customers a loud "no!" when we asked for the wine. With a small production, the winery had only sold its wines to private customers along with some restaurant accounts. I recall asking the original proprietor, as Ellen and I tasted his wine, if he had sufficient quantities to sell a bit of wine in stores. He said he wasn't interested in selling Outpost wines in stores and when I asked if he could explain why (knowing what his response would be), he told us "I want my wine to be served with good food." A vein in Ellen's neck started to bulge out and was pulsing as she contemplated jumping over the table to throttle the poor fellow. 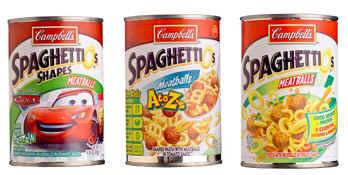 After all, it's not like customers come into the shop looking for $50 bottles of Zinfandel to pair with a can of Spaghetti-o's. Pringle cashed in his chips and sold the winery and its vineyard acreage to a couple who had come from Chicago to Howell Mountain. Frank & Kathy Dotzler came west after a career making some sort of computer parts. The couple had spent their honeymoon in Napa and this had a major impact on them. They purchased a property which they named the True Vineyard. Their dream was to eventually build a winery, but then the stars and planets aligned an the Pringles were willing to sell their place a bit further up the hill. 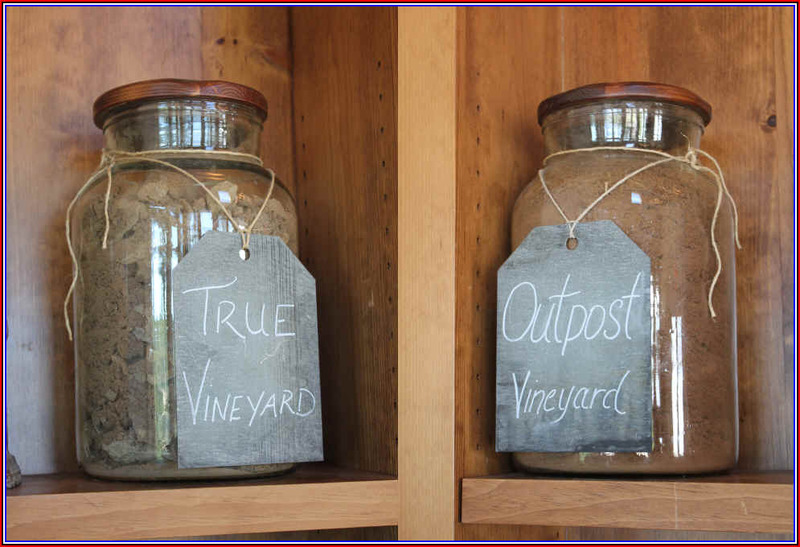 These days Outpost's little winery is the home of a number of other brands. Winemaker Thomas Rivers Brown got his start at Turley, so he's got a good foundation for making Zinfandel. Some of the other brands made at Outpost presently include Chiarello, Seaver, Schrader, Post Parade, Sodhani and Black Sears, amongst others. Production of Outpost Zinfandel is still rather small, tallying to about a thousand cases annually. Yields in the vineyard are kept to modest quantities and the wine is one of the showiest Zinfandels from the Napa Valley appellation. We like the blackberry fruit notes and the peppery spice notes. It's full-bodied, but not a jammy fruit bomb...there's some "soul" to this wine which we appreciate. Anyway, the Outpost 2015 is terrific wine and pairs well with grilled meats or a range of nice cheeses. It's one of California's BEST Zinfandels and that's saying something! The vineyard is high in the hills and it's not uncommon for them to have a dusting of snow in the winter.